This photo moved on the wire this week. 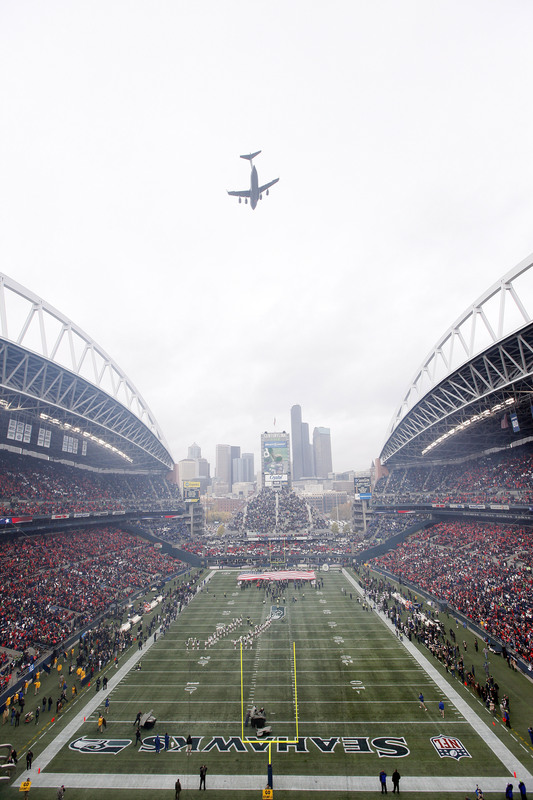 It was military appreciation day at the Century Link Field in Seattle over the weekend and, a C-17 from the 446th Airlift Wing out of Joint Base Lewis McChord did a flyover before the Seahawks beat the Ravens. Also at the game, Staff Sgt. Angie Johnson of the Air National Guard band Sidewinder performed the National Anthem. Sidewinder will disband as the result of restructuring in the Guard. (See my story here.) Video after the jump.